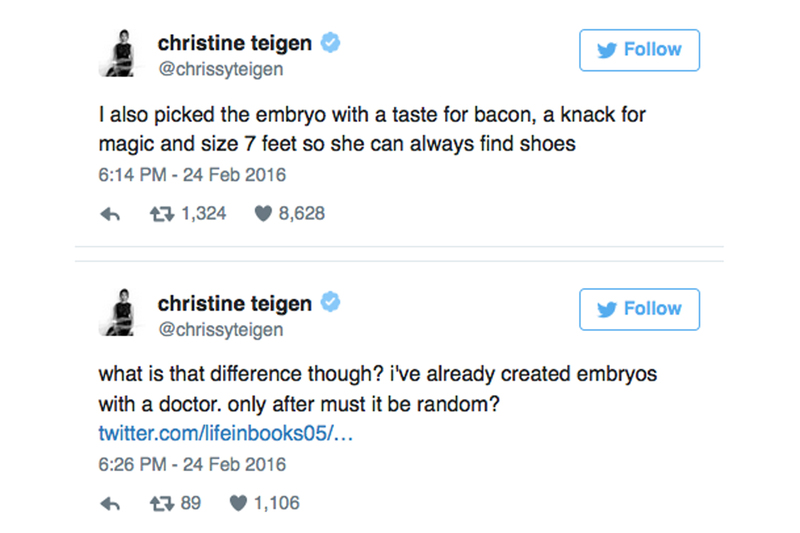 Chrissy Teigen has revealed that she selected the gender of her baby and, predictably, some people on the internet have responded unkindly. 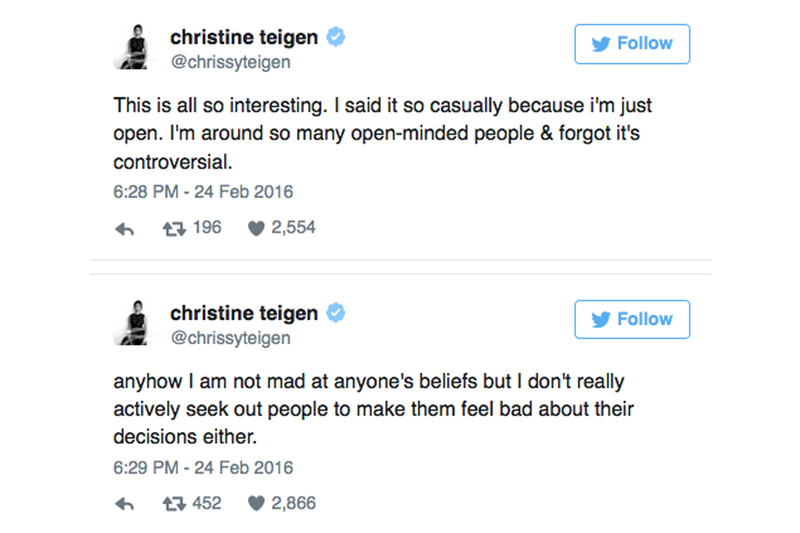 But Teigen being Teigen (aka an honest, open-minded and hilarious person) she has defended her decision and countered all the ‘science baby’ backlash in the best way possible: by shutting down the haters with wit and intelligence on Twitter. 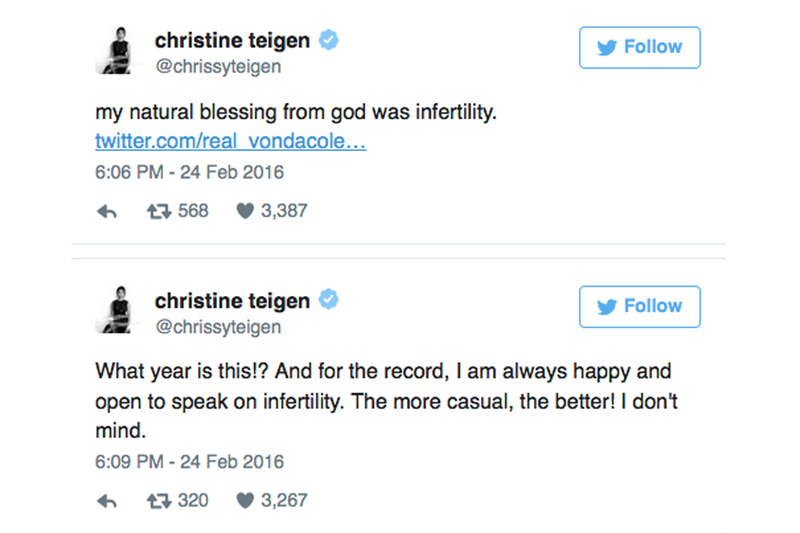 To recap the full story: back in December Chrissy announced that she and her husband, John Legend, were expecting a baby girl in an Instagram post. She then explained her reasons for wanting a daughter: “I think I was most excited and allured by the fact that John would be the best father to a little girl. That excited me,” she said. 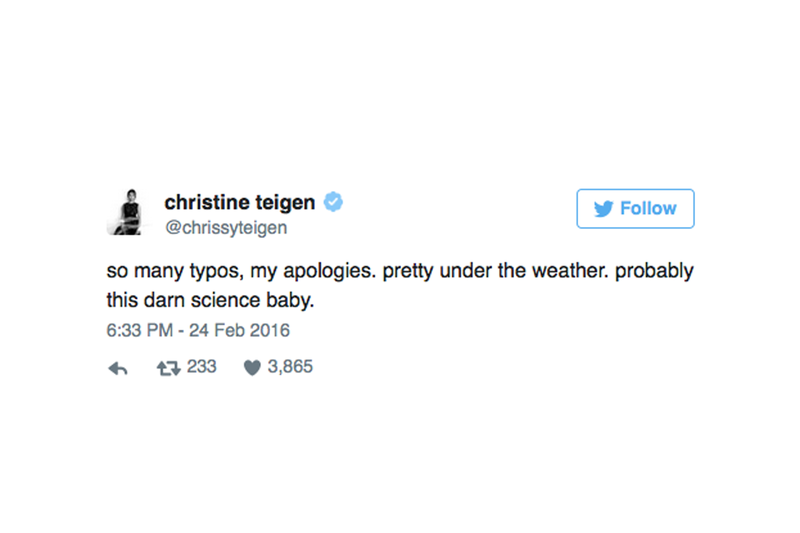 Chrissy Teigen, one – internet trolls, zero.